Since he did not update the mod for a long time, I decided to continue the mod. Colours for blocks automatically generated from the block's texture. 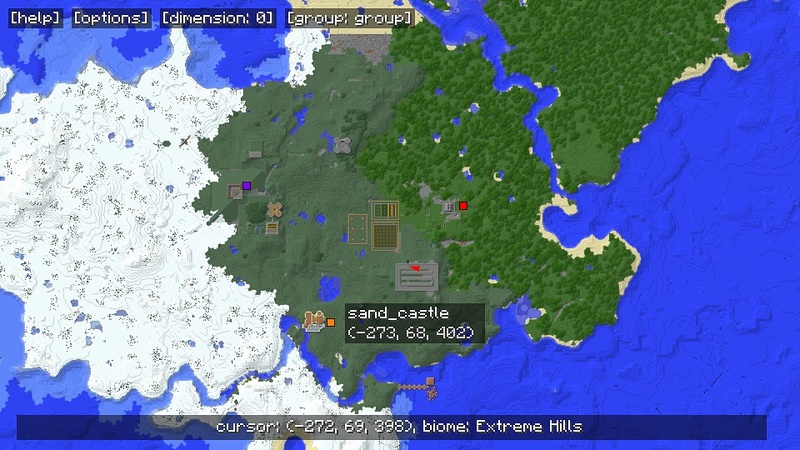 How do you fix the grey coloured areas on the map if it’s mod block compatible?? Hi I'm using an older version of this mod, but somehow I managed to reset my map to be unexplored. But the range is smaller, along with logging of now resets it. It also brightens the horizon that I am on. I am not sure what buttons i hit to do that. Any idea? omg thank you so so so much!!!!!!! btw I freaking love this mod, i was so sad when i messed it up XD Thank you again!!!! This is awesome. A public domain map mod! Person I know wants to have their own custom setup for a map, but we don't have to time to code a full map from ground-up, and this is the perfect solution! Thank you so much for this! Are you updating it for 1.13? Mapwriter is hands-down my favourite map mod. Fantastic, that's all I needed to hear! 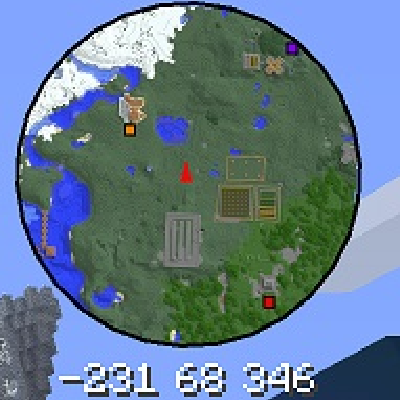 im playing"meat castle adventures" (1.7.10) and it uses both journeymap and mapwriter for some reason. this is creating some weird thing where the mapwriter borders are gone and it just a random floating ugly map with a black background. ive tried to find the mapwriter in the mods file but i cant find it anywhere. any suggestions?? I discovered an error in the source (1.7.10), which caused some trouble in rendering the Erebus dimension surface. After this correction everything works fine. I have tried several map mod, and I can say that this is the best. Congrats. I use 1.7.10 version and I run into a problem. There are some underworld mods (e.g. The Erebus) that has ceiling like the nether. 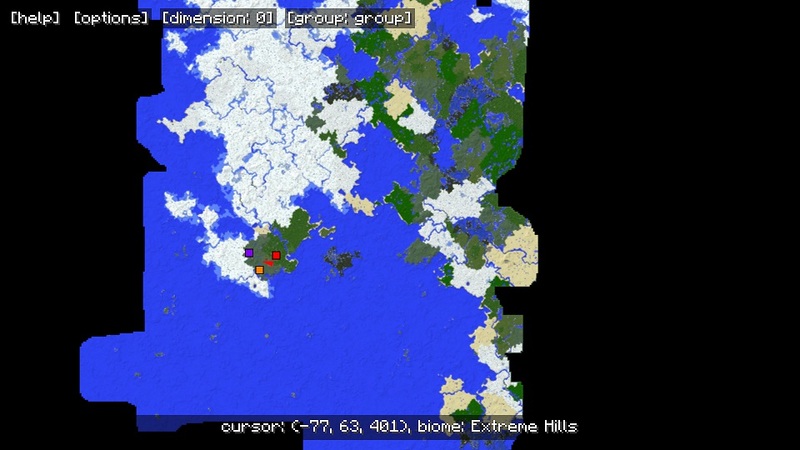 Is it possible to use the same algorithm to render the map like the nether? Is it possible to use a parameter list for such dimension IDs? it would be posible, but that would mean that they have to be the same as the nether. so the sealing should be at the same y value. else i will have to code alot of exceptions. I think you don't need to introduce a parameter for underworld dimensions. It is enough to add this constant dimension ID to the code. And the Erebus mod is supported. I playing with Biomes O' Plenty mod and recently downloaded the newest Map Writer 2 version, I got a Cherry Blossom forest went from pink to green on the map when I re-explore it, is there is any cure for that or is it suppose to be like that? There is a block colors overwrite file. you can add the leave block there with a color you want. Would it be possible to implement this mod with the Rift ModLoader for 1.13 or does it depend on a lot of forge-specific stuff? 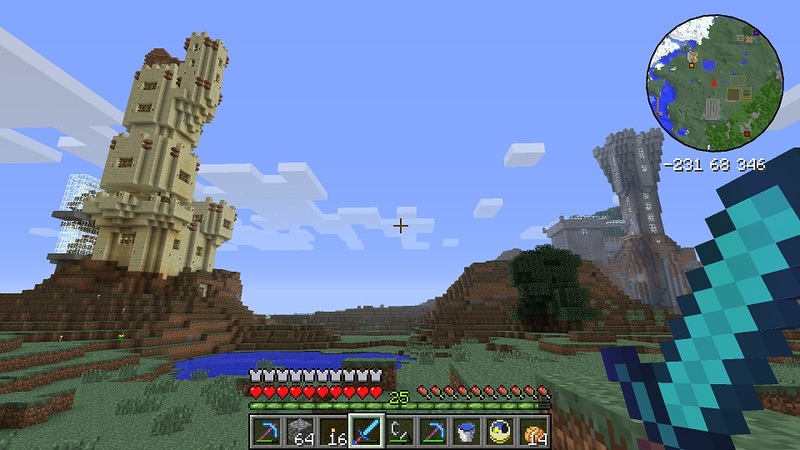 it depends alot on forge, so moving it to an other modloader would be alot of work.